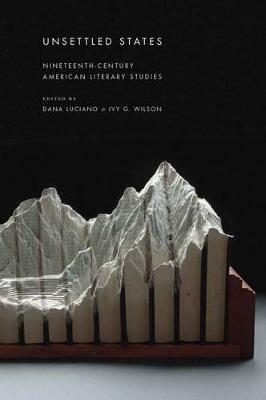 In Unsettled States, Dana Luciano andIvy G. Wilson present some ofthe most exciting emergent scholarship in American literary and culturalstudies of the "long" nineteenth century. Featuring eleven essays from seniorscholars across the discipline, the book responds to recent critical challengesto the boundaries, both spatial and temporal, that have traditionally organizedscholarship within the field. The volume considers these recent challenges tobe aftershocks of earlier revolutions in content and method, and it seeks waysof inhabiting and amplifying the ongoing unsettledness of the field. Writtenby scholars primarily working in the "minor" fields of critical race and ethnicstudies, feminist and gender studies, labor studies, and queer/sexualitystudies, the essays share a minoritarian critical orientation. Minoritariancriticism, as an aesthetic, political, and ethical project, is dedicated to findingnew connections and possibilities within extant frameworks. Unsettled States seeks to demonstratehow the goals of minoritarian critique may be actualized without automaticrecourse to a predetermined "minor" location, subject, or critical approach.Its contributors work to develop practices of reading an "Americanliterature" in motion, identifying nodes of inquiry attuned to the rhythms of afield that is always on the move.